Paul’s background as a music and IT writer, marketing executive then an entrepreneur, is different. He brings insight into growing technical and creative businesses under the full spotlight of publicity. 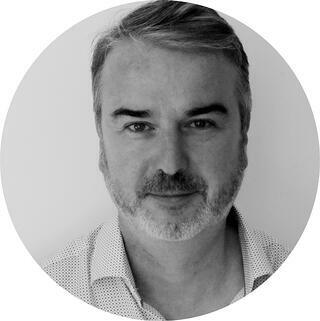 An English and Information Technology graduate with an Alliance Manchester Business School MBA, he has worked for marketing titans Omnicom Group and Chime, as well as holding executive roles at Mercury (acquired by HPE) and VMware (part of Dell). At Mercury, Paul worked with Dave and Chris, the co-authors of Play Bigger, Elie and Darryl, also partners at Category Design Advisors, for four years as they designed and launched Business Technology Optimization, executing no less than seven lightning strikes, ignoring every Zed in the industry, before proving them wrong with a multi-billion dollar exit. A wordsmith in recovery, he started his career writing gig reviews for Melody Maker and Kerrang! To this day he worries Fender and Takamine guitars on an infrequent basis. Based in Glamoursmith, West London, he is the team’s most European, news-obsessed, always-on, angle grinder.